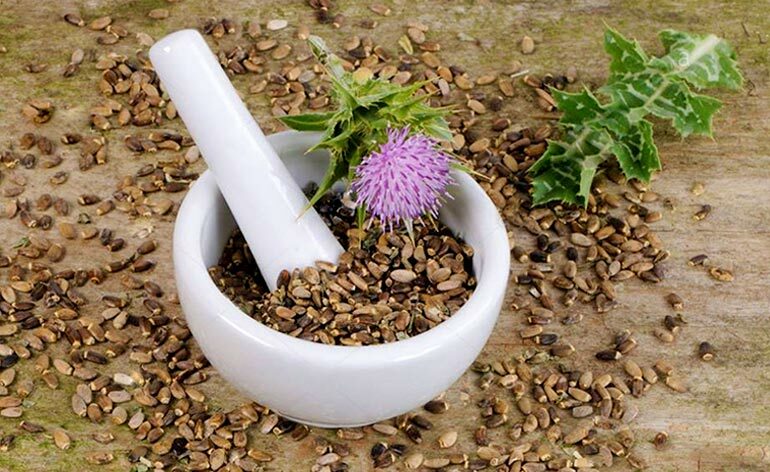 Home » Diet » Top 5 Health Benefits of Milk Thistle Seeds! Milk thistle seeds are one of nature’s most powerful detoxifiers. All parts of the Silybum marianum plant are able to be used, however the seeds are the most medicinally valuable, having been used as a herbal remedy for liver disorders for over 2,000 years. The name ‘milk thistle’ comes from the white, milky fluid found within its leaves. Pliny the Younger, alongside the well-accomplished greek physician, surgeon and philosopher Galen, both acknowledged the use of milk thistle for its numerous health benefits. With so many to choose from let’s discover the Top 5 Health Benefits of Milk Thistle Seeds! It is believed that the liver carries out over 500 different functions within the body. The liver is our primary defence against a number of environmental pollutants which we are exposed to on a daily basis, including heavy metals, harmful chemicals, radioactivity, plastics and many other toxins found in our food, air, water and certain building and cleaning materials. Milk thistle seeds have the ability to detoxify, regenerate and protect this vital organ, alongside inducing cellular regeneration. It has also been shown to repair liver damage caused by pharmaceutical medications. 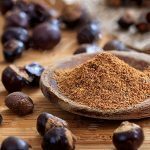 Much of the plant’s liver protecting abilities are thought to be thanks to its content of an antioxidant flavonoid called Silymarin. Silymarin rejuvenates the liver through the renewal of liver cells. Most diseases are caused by inflammation. Milk thistle is a potent anti-inflammatory, in addition to having powerful antiviral and antioxidant properties. Thanks to these attributes, this plant can benefit many organs including the spleen and gall bladder as well as the endocrine and gastrointestinal systems. Additionally, it is a neuroprotectant, helping prevent memory loss and the development of Alzheimer’s, Parkinson’s and multiple sclerosis. Milk thistle seeds can also prevent gallstones and kidney stones. Milk thistle is powerfully antioxidant and therefore boosts the immune system. It can protect against DNA damage, as well as reverse cancerous tumour development. It has been shown to be beneficial for prostate, cervical, breast and skin cancers, as well as leukemia. An amelioration in liver function and a reduction in inflammation will ultimately lead to an improvement in skin health, clearing up acne, psoriasis, eczema and rosacea. Additionally, phytochemicals found within milk thistle have been shown to protect the skin against oxidative stress brought on by UV light exposure. Milk thistle boosts heart health by increasing beneficial HDL and lowering levels of harmful LDL cholesterol. It also lowers blood pressure and can help to control and prevent diabetes. Milk thistle seeds can be found in health food stores, taken as a powder, tincture, tea, extract, encapsulated in supplement form or as an essential oil. Best in the spring season, the powdered seeds as well as the stalks, leaves (a potent spinach substitute) flowers and roots can be consumed raw, added to smoothies and salads after the sharp spiny leaves are removed or cooked. When roasted, milk thistle seeds may be used as an alternative to coffee. Milk thistle is essentially a weed and is relatively easy to grow. However, when growing milk thistle at home it should be noted that it can be an extremely obtrusive plant, with the ability to take over a garden, so be aware of growing conditions in your area. Got experience with milk thistle seeds? Tell us about it below or @KeepFitKingdom and if you love seeds check out our previous articles!